She was born on October 13, 1934 in Collinsville, TX to Jesse and Willie Mae (Reed) Burgin. She married Joe West, her husband of 67 years, on November 10, 1951 in Wichita Falls, TX. She was a Christian woman of the Methodist faith. 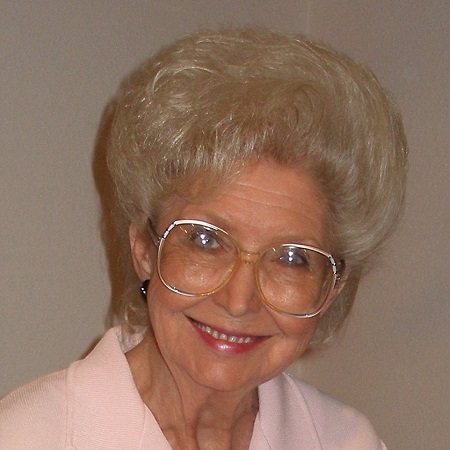 Norma was an accomplished artist and created many beautiful works of art. She is credited with creating the original peanut for the Peanut Festival held in Whitesboro every year. She spent many years painting megaphones and football signs for the cheerleaders and football players of Whitesboro. She created beautiful cards and announcements for birthdays, Christmas and weddings using her talents with calligraphy. Norma was a tremendously loving wife, mother and grandmother, she was always the biggest supporter of her children and grandchildren’s school events. She loved all things sports related and was probably the number one fan of the Texas Rangers baseball team. She was and excellent seamstress and an amazing cook. One thing you could always count on with Norma, if you went to her home there was Folger’s coffee ready in the pot and Reese’s peanut butter cups on the counter. Norma is survived by her husband, Joe West of Whitesboro, son, Jody West and wife, Kathy of Whitesboro, daughter, Jana Gregory and husband, Ronny of Whitesboro, daughter, Jamie Fulks and husband, Ricky of Sherman, six grandchildren, Weston, Andi, Abigail, Nolan, Curt and Cristin, seven great-grandchildren, Eli, Dylan, Jacob, Ian, Isaac, Beth, and Emerson, sister-in-law, Lou McCorkle, sister-in-law, Barbara West as well as numerous nieces, nephews, cousins and other loving family members. She was preceded in death by her parents, Jesse and Willie Mae Burgin, daughter, Jennifer West and brother, William Edward Burgin. Pallbearers will be Zack Childre, Curt Fulks, Weston Gregory, Nolan Peeples, Casey McCorkle, and Robert Wood. Honorary pallbearers will be Kenny Schmitz, Mitchell McGraw and Bradley Williams. Funeral services for Norma will be held Tuesday, April 9, 2019 at 2:00 PM at Meador Funeral Home of Whitesboro, officiated by Rev. Rick Carney. Interment will follow at Oak Wood Cemetery in Whitesboro. There will be a time of visitation held at the funeral home on Monday, April 8, 2019 from 6:00 to 8:00 PM. We send our deepest sympathy for the loss of your loved one. You are all in our thoughts and prayers during this difficult time. May your cherished memories comfort you and help to get you through the coming days and after as well. I am so very sorry to hear of this precious lady’s passing!!! I always thought this lady was a jewel!!! Will be praying for the family!!! I am so sorry to hear of your mother passing..She was a dear person. She never missed a game.. always in the stands cheering the football game or the marching bands..remembering everyone in passing.. I have always admired Norma, her special talents, kindness & caring, she is truely a gifted individual who would always help others. May God bless the West Family. Norma was a Sweet lady to know and always new what to say to make you feel better. I always seen norma in town at Grocery Store or up at EZ Mart always buying thoso’s Scratch off Tickets to win Money. I sure do miss Norma i’m going to really miss her alot. I miss seeing her up at Ez Mart and Driveing her Vehicle.